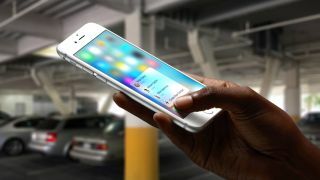 The iPhone 6S and 6S Plus both sport several fun new features, but perhaps none of them are as useful as 3D Touch. Once you get used to the many ways in which 3D Touch makes navigating your phone faster and easier, it can be tough to go back to a handset that doesn't react to the pressure of your presses. The most obvious benefits of 3D Touch are the shortcuts that more and more apps are offering right from the home screen. With 3D Touch, waiting for an app to open - and then searching through several screens to get to what you want - is a thing of the past. Want proof? Try these 25 time-saving home screen shortcuts for yourself. 1. App Store Looking for a new app? Now you can search right from the home screen. 2. Calendar Quickly add a new event, or even glimpse what's coming up next. 3. Camera Skip straight to taking a photo, selfie, or video before the precious moment passes. 4. Clock This is the fastest way to start a stopwatch or timer outside of asking Siri to do it for you. 5. Contacts Just met someone new and interesting? Dive straight into creating a new contact. 6. Dropbox Hop right back into a recently edited file without having to navigate any menus. 7. Evernote Starting a new note has never been faster or easier than this. 8. iBooks Skip the bookshelf and zoom straight into the iBooks Store to search for a title. 9. Instagram All of the popular social app's prime features are now just a single (firm) press away. 11. Mail Fire off an email faster than ever, or jump straight to your inbox. 12. Maps Instant access to directions home is super handy, as is the ability to quickly mark where you parked your car.